Step 1. Firstly, start your hand drawing, that watch some anatomy tip! It's really helpful, because most of artist's weakpoint is the hand drawing, it's always difficult, when you draw your figure. 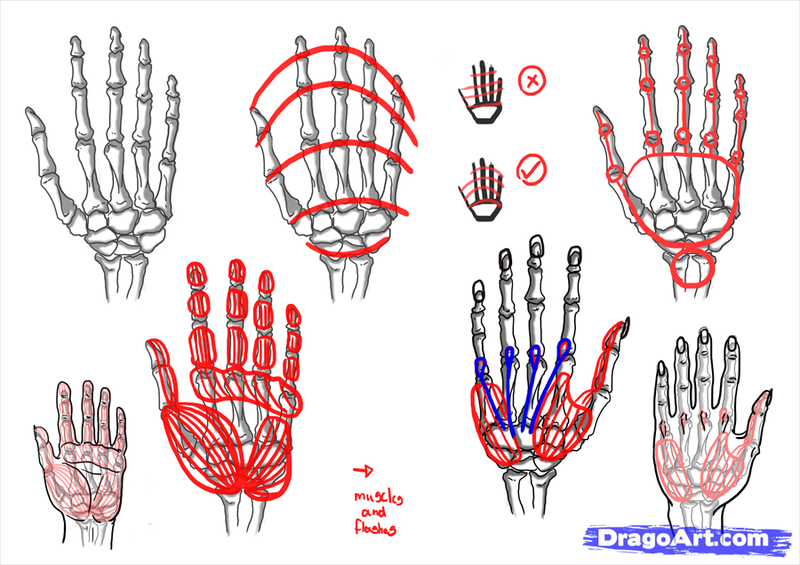 Well, start with the anatomy, and you will understand better the hand drawing! Step 2. 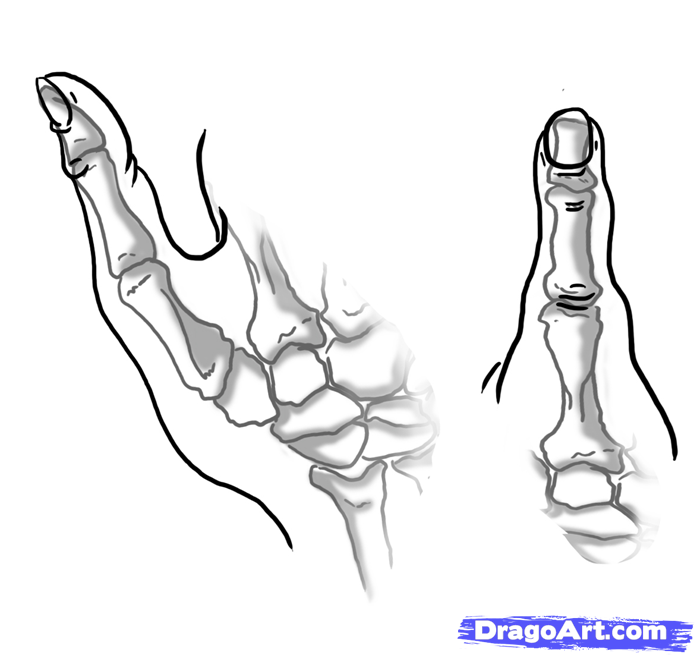 Here some bigger size anatomy about your fingers you can see the bones well, and the main parts. Step 4. And here some extra help, so you can see well, which hand type is good for your character's age! Step 5. 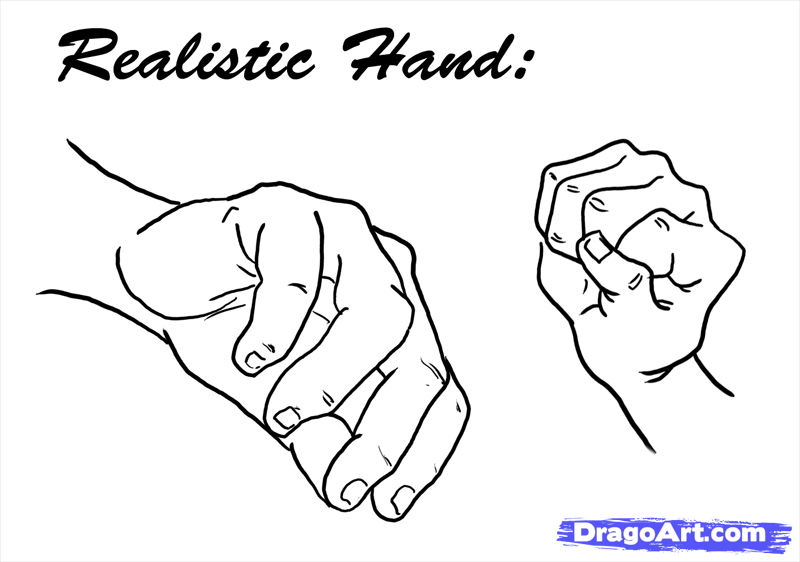 Firstly, here the style of realistic hand! You need to start every style from the realistic style, that you don't do mistakes. Step 7. In the cartoon style the different is more bigger from the realistic one. But the cartoon style isn't only this style, just one example, what I drawed. It's always helpful, if you look around the cartoon's style, that you can see which one, what you like, and where you can start to create your own style for the hand drawing. Step 8. If you have an animal character, it's helpful for you too! 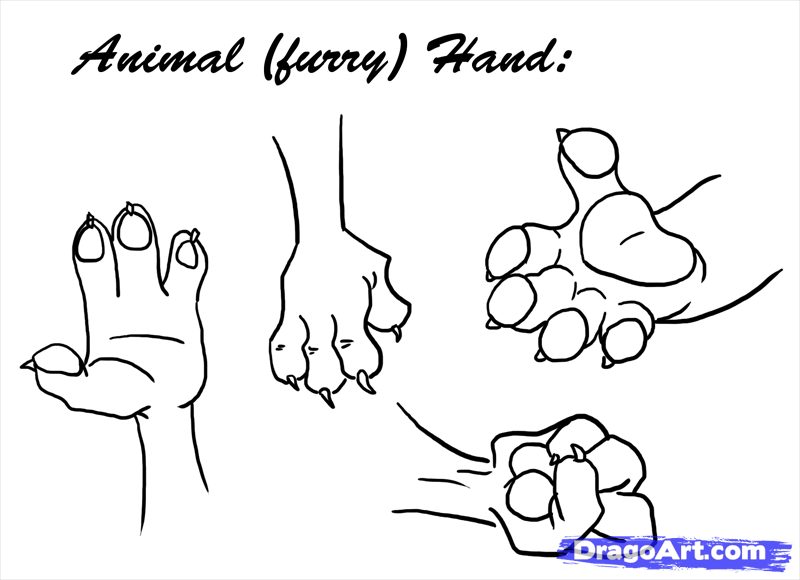 (Mainly when your animal character walk on two leg, his/her first two leg is more like arms and hands, so you need to draw them like human hands, just with some different part). Step 9. 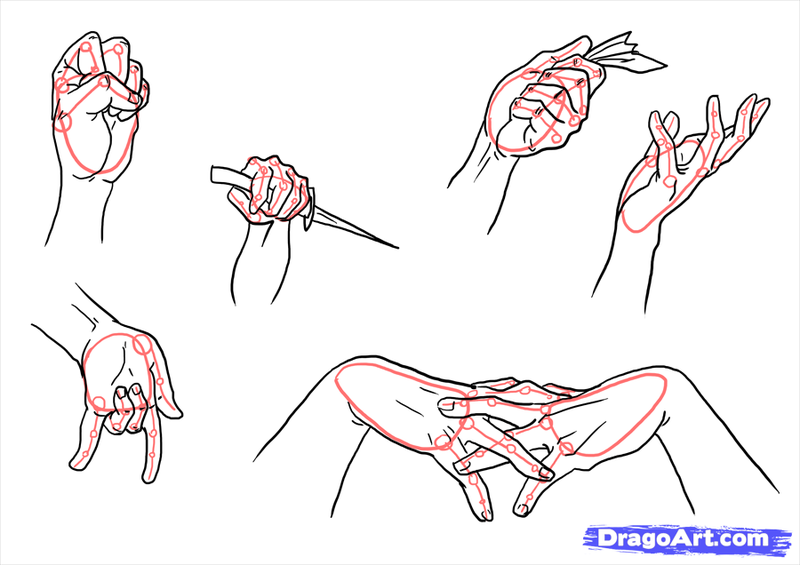 And now, the last part of the hand drawing is the poses, it will be three part, because you can draw a lot of hand pose! Firstly here some simple. Step 10. And now, here some more difficult type, in other view and perspective too! Step 11. These are really difficult, but not impossible! 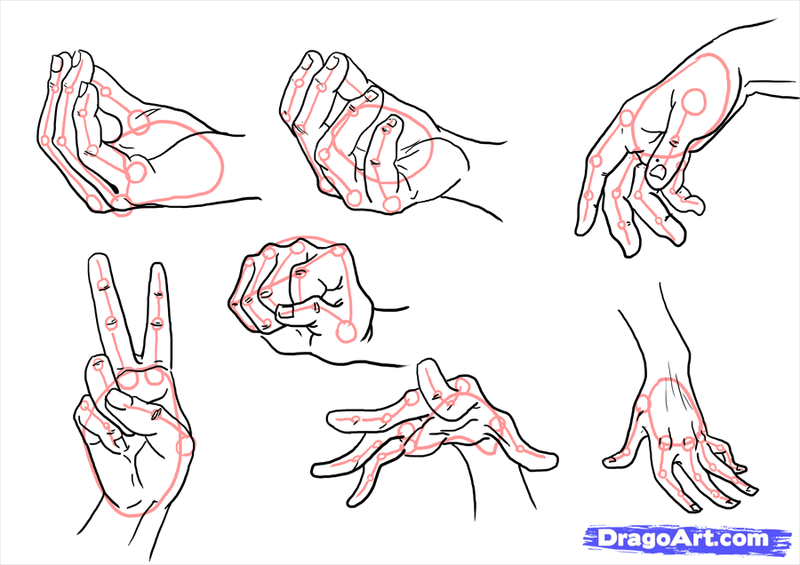 When you start to draw difficult hands like these, look aroun on the net for reference pictures, these are always helpful. Step 12. 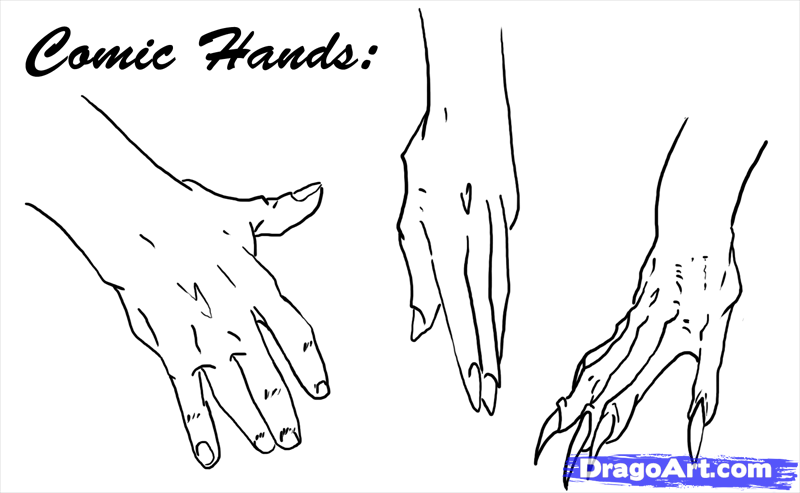 Let's start the "How to draw Hands" part! Now, start to draw the base lines. 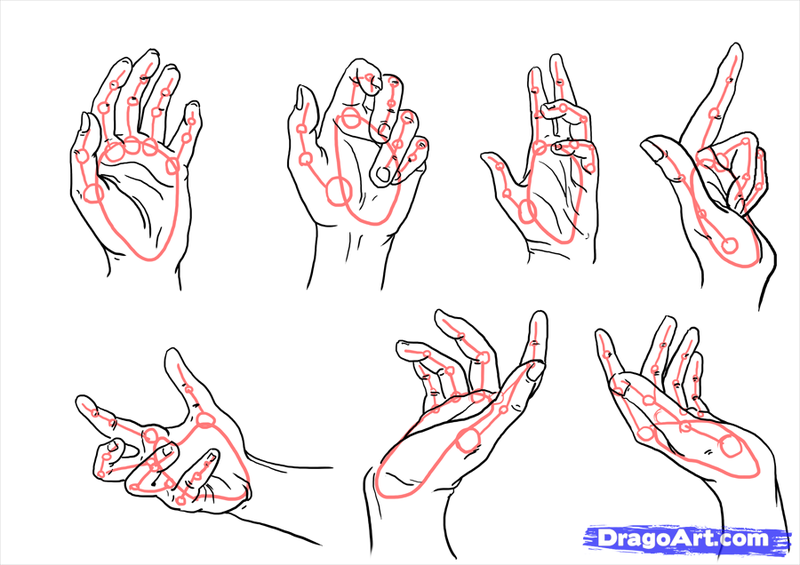 This is helpful, that you can draw the base form of the hand. Step 13. Firstly draw the base lines of your hand's upper and base part! Step 14. 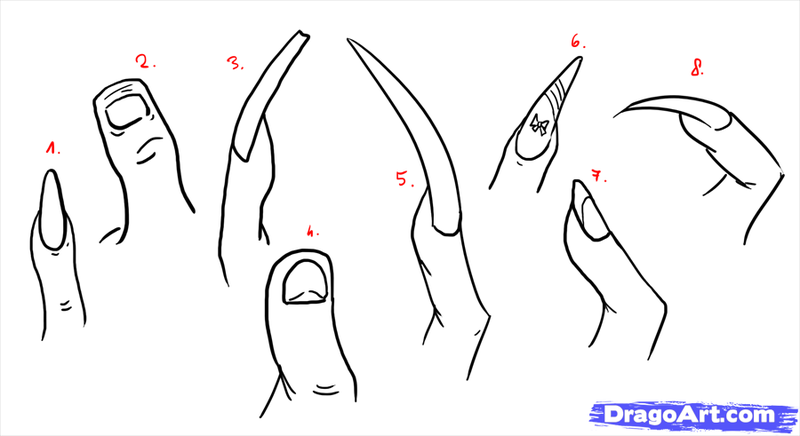 Now draw the base form of your forefinger! Step 15. And now the thumb's base lines and form, now you can see well how will be the hand's pose on the picture! Step 16. And now the middle finger's base form! Step 17. The next step is the ring-finger's base form! Step 18. And now your last finger is the little finger's base form! And you are done with the hand's base form too! Step 19. Now draw the nails on the fingers, where you can see on your picture. Step 20. 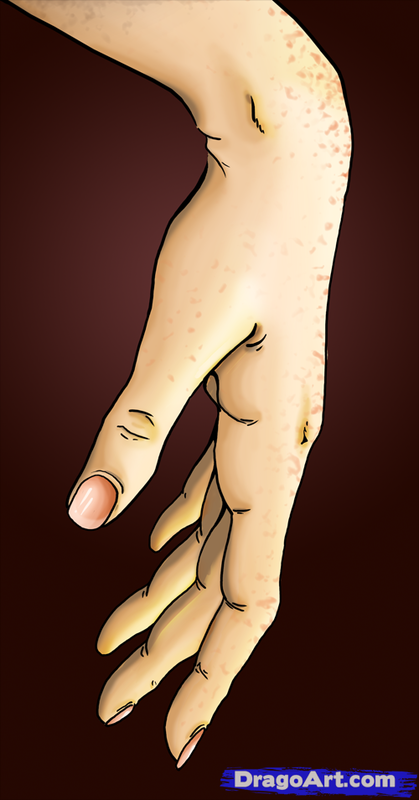 And draw the little details, where you can see the parts on your hand, and the fingers. Step 21. Here some little details, what you need to draw too, these needs just in the realistic hand drawing. Step 22. You are done! Now go, and color this, as you want. I really enjoy to draw this tutorial, I hope, you like it too. Great work, guys!